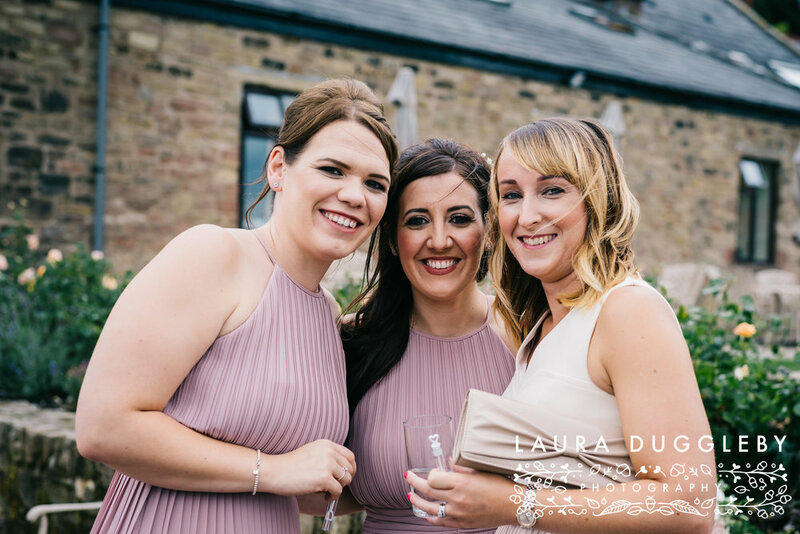 Beeston Manor is such a lovely venue, set in acres of Lancashire countryside its a converted barn with the wow factor!! 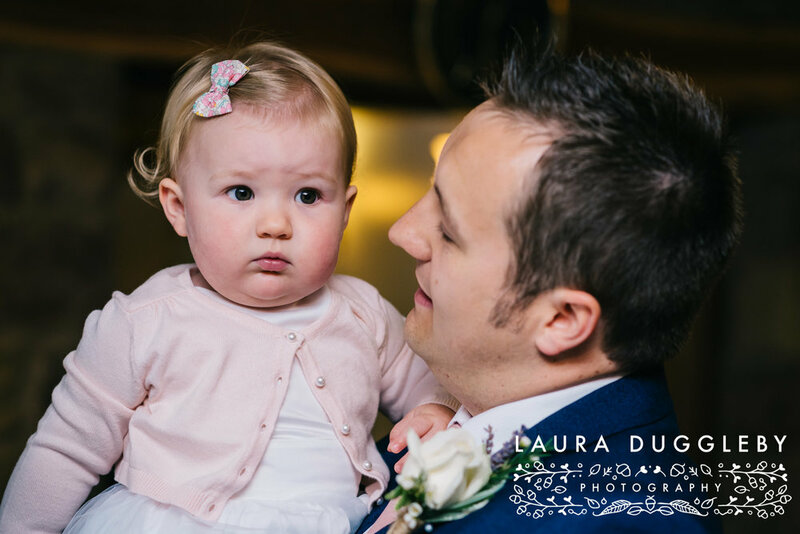 Beeston is a family run business and the staff really look after you. 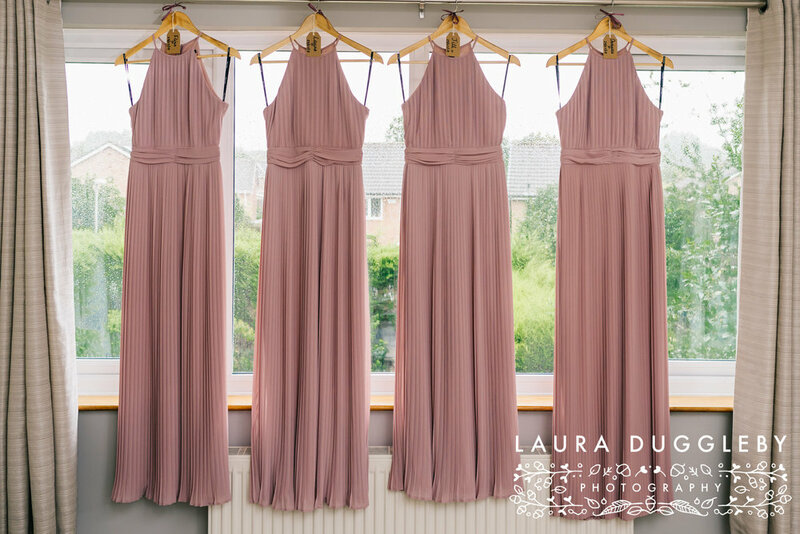 My first experience of this beautiful converted farm was last July for Rachel & Scott's gin and blush pink theme wedding. 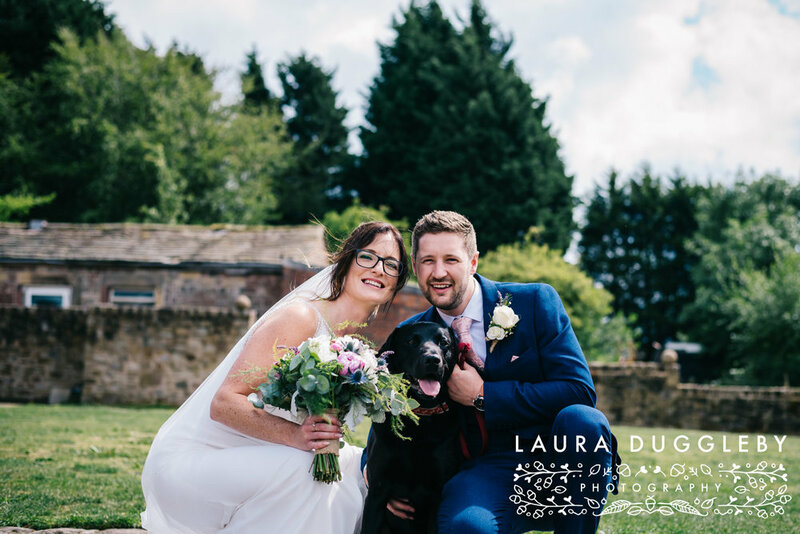 Rachel and Scott love the great outdoors and knew that they wanted a rustic wedding in the countryside. 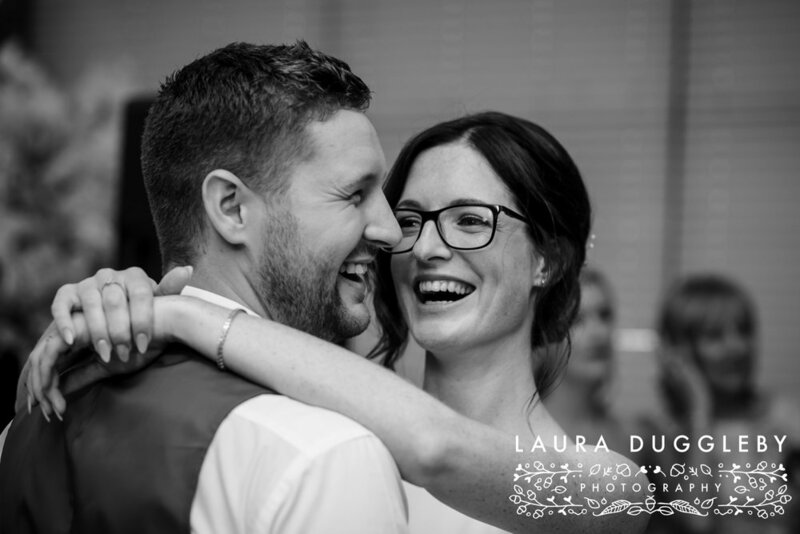 They fell in love with Beeston the minute they visited and knew this would be where they would say ‘I do'. 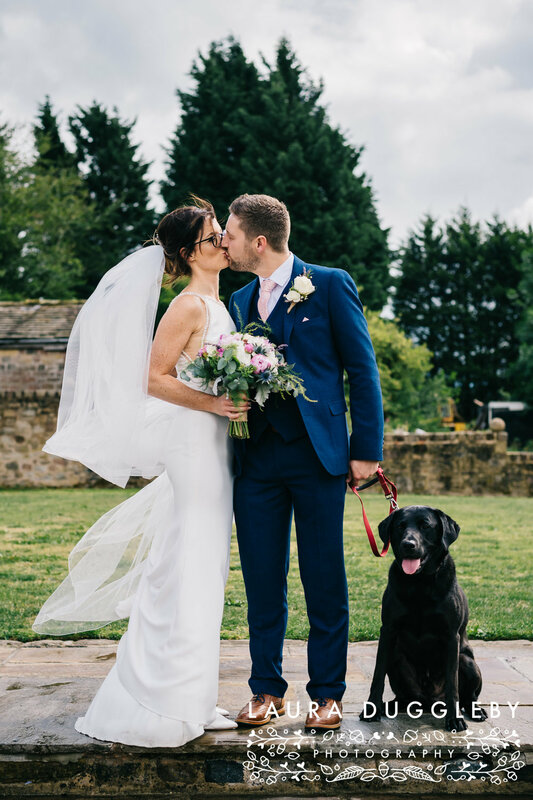 I met up with Rachel and Scott a couple of times before their wedding to run through plans and what was important to them for their photography, a must have picture of them both with their puppy Baxter was on the cards, and on the day Baxter was super behaved and a little excited that his paw-parents were getting hitched!! Take a look below!! 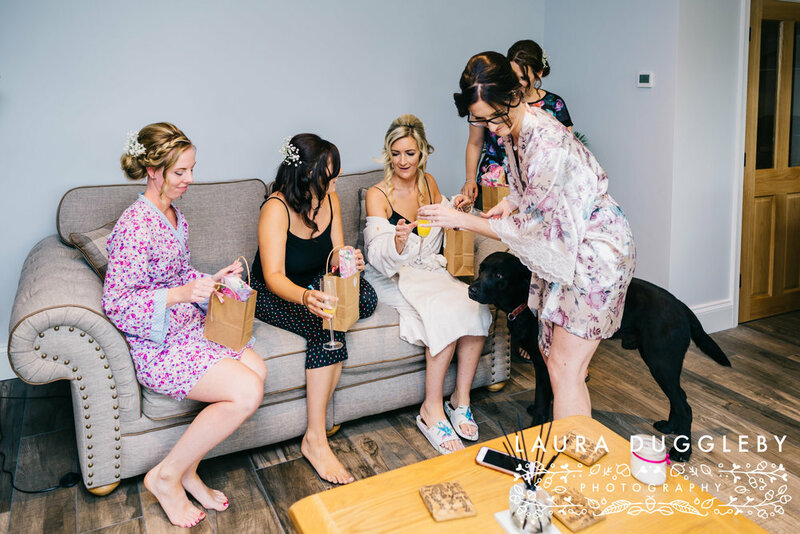 I met up with Rachel and her bridesmaids on the morning of the wedding for bridal preparations, this is one of my favourite parts of any wedding! I love the excitement and the hustle and bustle of everyone getting ready for the big day!! Rachel was one of the calmest brides I have seen and was relaxing having her makeup done when I arrived. 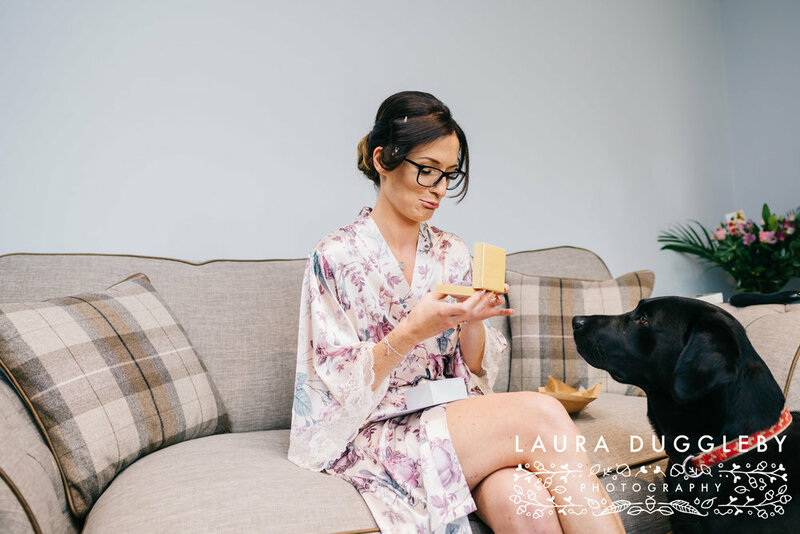 Throughout bridal preparations I take a mixture of detail pictures and also natural moments of what is happening. 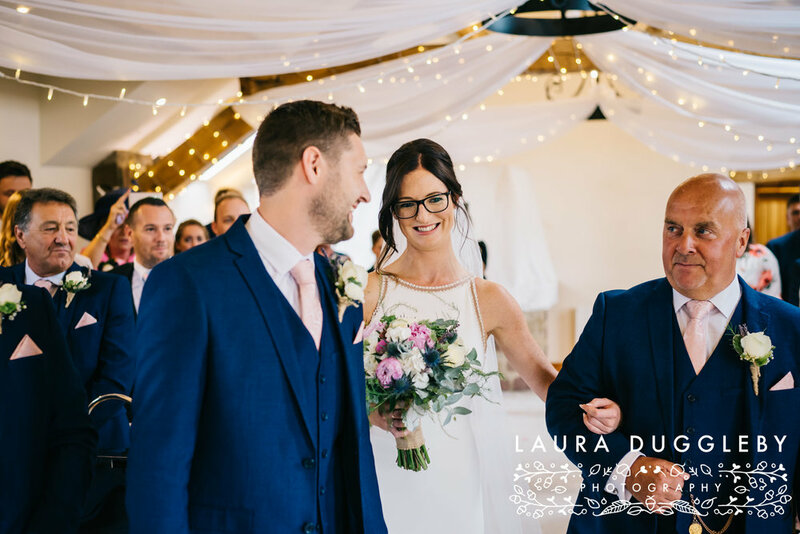 Rachel had chosen a beautiful pronovias wedding dress from Foxgloves Bridalwear and it suited her perfectly, with a cathedral length veil with small diamantes she looked every inch the perfect bride. Whilst I was with the girls, my second photographer Jane was with Scott and his groomsmen documenting all the action!! 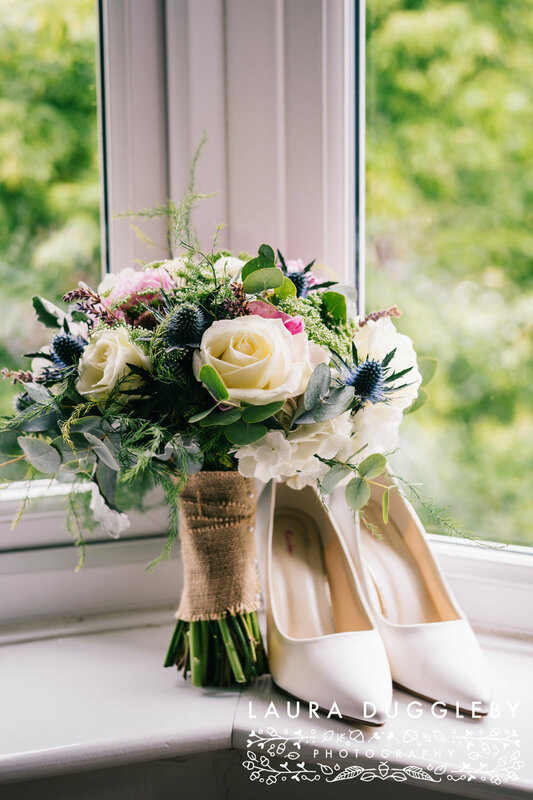 Although in July, the weather was not on our side and with umbrellas at the ready, the girls headed to Beeston for the wedding ceremony, stormy clouds and torrential rain did not dampen anyone’s spirits on this wedding day, Rachel and Scott were married in a beautifully intimate ceremony surrounded by all their family and friends., and it was a privilege to witness the love they have for each other. 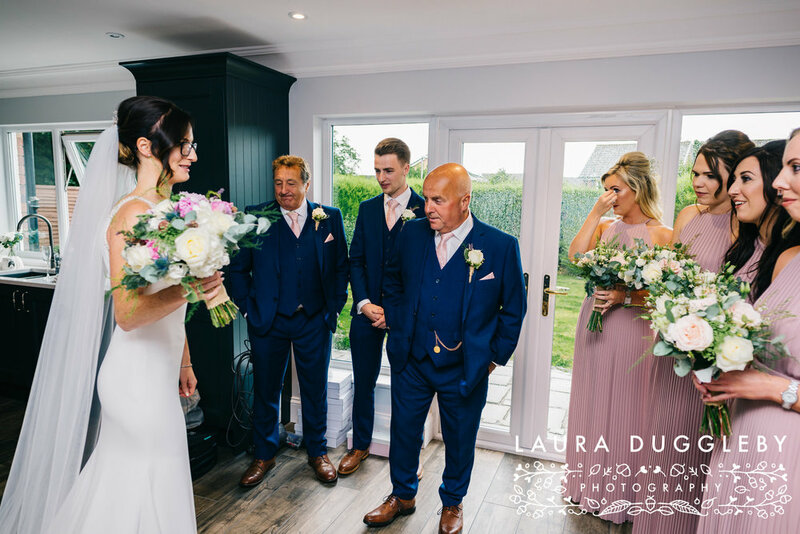 After the ceremony, guests were served champagne and canapes and then sat down to a lovely wedding breakfast. Even though the weather was extremely stormy and unpredictable, we managed to take all the group formals outside which was really lovely and actually made for some stunning backdrops to both the group pictures and the couple portraits!! 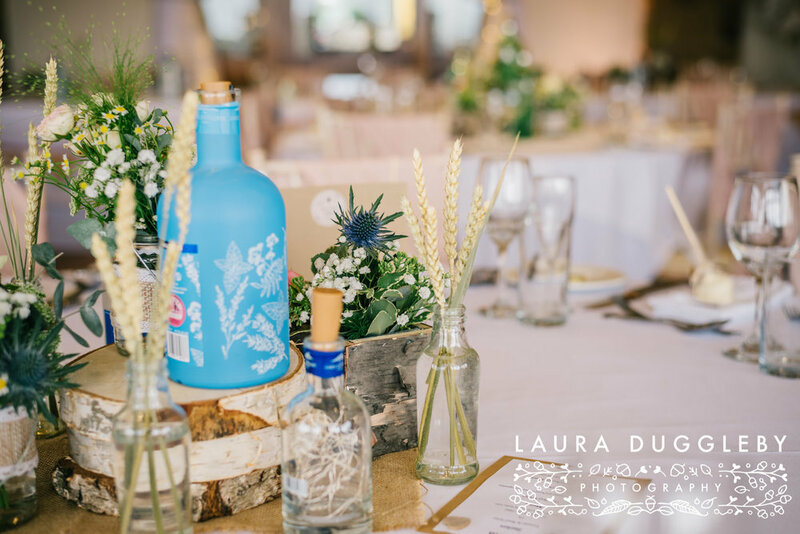 The couple had chosen to decorate their tables in a blush pink and gin theme with rustic elements of hessian added and it really did look beautiful. 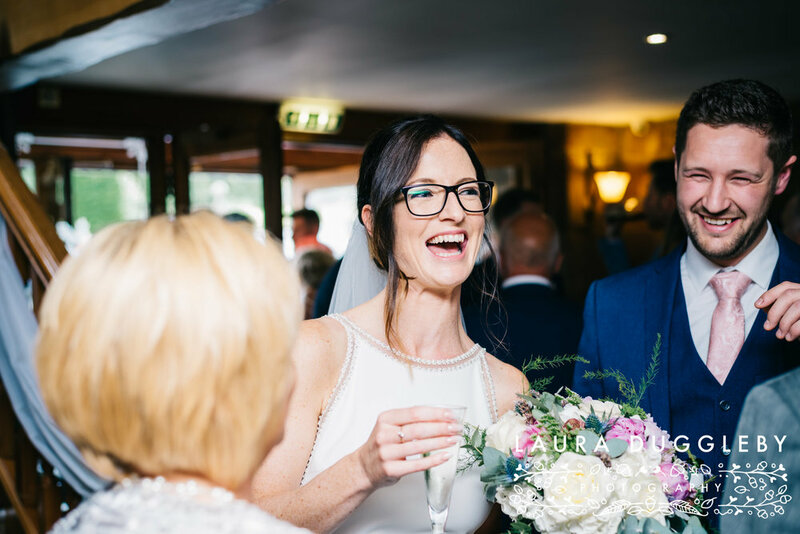 The wedding day was rounded off by a sparkler walk at dusk and then all the guests partied the night away with the newlyweds, to band ‘The Rush’. All in all a bloody good wedding!! Rachel and Scott you guys were amazing, thank you for choosing me as your wedding photographer!! Below are my favourite moments from your awesome day, enjoy!! 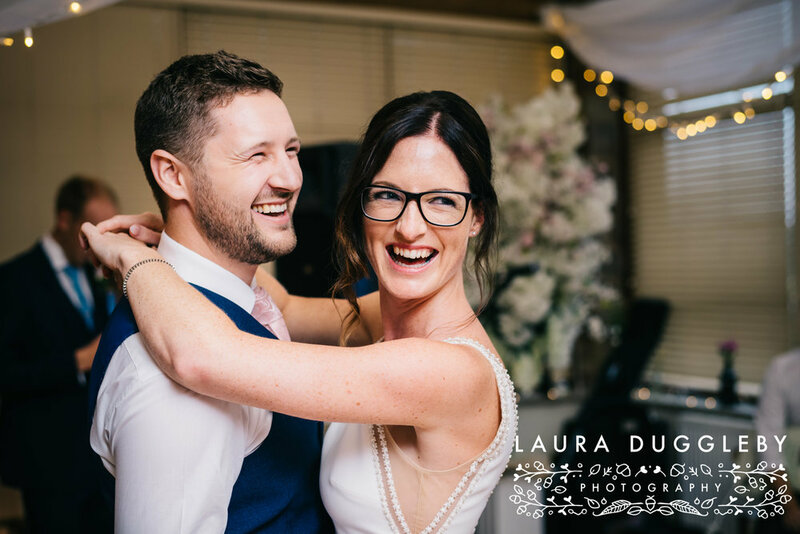 **If you are looking for your Beeston Manor wedding photographer then send me a message HERE to check if your date is free.